Many people might read this without having a clue what an INFJ is, let alone an INFJ “door slam.” However, INFJs, and those who have been involved in relationships with them, will understand exactly what it is. INFJ is a personality type characterized by the Myers Briggs Personality archetypes. INFJs are believed to make up approximately one percent of the population and the initials stand for: introverted, intuitive, feeling, and judgment. Out of all the INFJ traits, the “door slam” may be the most infamous. The reason is not due to the actual hypothetical door slamming, but because of what takes place up until it’s firmly shut. When INFJs connect with someone, they give it their all, so if someone repeatedly takes advantage of the fact they have become emotionally invested, or if they are abused relentlessly, INFJs eventually decide enough is enough, and they will sever all ties. This can include blocking telephone numbers, social media links, and, in extreme cases, moving house and giving no forwarding address. INFJs are tolerant creatures and are renowned for allowing people to treat them badly. They are compassionate, empathetic, forgiving souls, and they try to give people the benefit of the doubt and offer chance after chance in the hope the person will change. Some INFJs hope that by slamming the door it will make the other person realize what they have lost and trigger them to put in a huge and genuine effort to make amends and attempt to work things out. INFJs don’t enjoy drama or leaving on a negative note, so in many ways, the door slam can be a final chance for the other person to be jolted to action. Even if the relationship can’t be fully salvaged, at least there would be no lingering hard feelings. Often, by the time the door has been slammed it is “too little, too late” to make amends, as too much water has passed under the bridge. The INFJs want the other person to get the message that they have gotten to this stage, so they don’t try to walk back through the door thinking everything is okay. What takes place following the door slam gives the INFJ all the information they need about the state of the relationship, friendship, or family dynamic. If silence follows, the INFJ will just keep on walking without glancing back. The reason INFJs get to this place of strength is that they grieve and mourn the loss before they actually lose the connection with the person. This makes it far easier for them to accept that the relationship they thought they had was based on an illusion and what they thought they had didn’t actually exist. INFJs are introverts, which means they internally process much of what goes on around them. Therefore, if they do not feel emotionally safe with someone, they may not openly express what they are thinking or feeling. Instead, INFJs will figure things out in their own time, in their own way, and make decisions that may appear sudden and shock those around them. However, at an internal level, the decisions are far from sudden and are usually the results of days, weeks, or years of deliberation. Before the door slam, INFJs usually give out numerous warnings, and let whoever is involved know that they do not find their behavior acceptable. Door slams usually happen when an INFJ has distanced themselves after being repeatedly and relentlessly hurt by someone, and most likely when they do not feel the other person is willing to make any effort to change. Therefore, when an INFJ is done, they feel liberated and lighter, and they swiftly move forward. They may remove all reminders of the past and appear to others, or the person they slammed the door on, as though they are cold and calculated. However, they only reach this place if that person has continuously been cold hearted with them. INFJs are not the types to make demands upon people and tell them how they want to be treated, or how they should, or should not, behave, especially when it comes to romantic relationships. They hope that if someone cares deeply about them, their actions and words will reflect how they feel. The trouble here is that because INFJs are highly intuitive and read situations well, they sometimes forget that not everyone has this ability. They may expect people around them to be mind readers and to analyze situations as intently as they do, and when they don’t, instead of offering clues, they might close off contact. 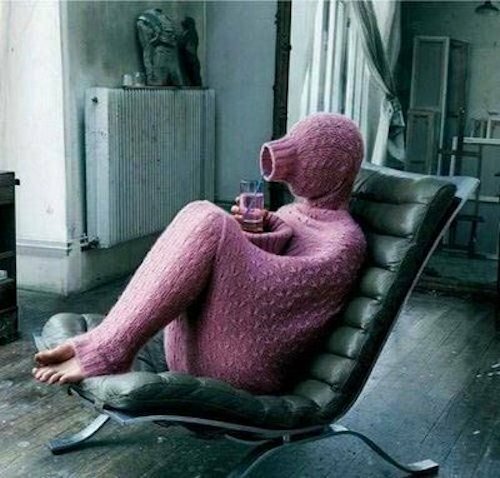 Recommended: 6 Things Introverts Absolutely Hate! Although INFJs are compassionate, it would serve them well to try to communicate as openly as possible and explain how and why they feel the way they do before opting out. INFJs would do well to not allow the situation to get to the stage where they feel burned out, used, and abused. Although the door slam is done as a self-protection mechanism, INFJs can try to discern whether they are devoting too much time and energy to those who do not hold the relationship in the same high regard. Pulling back from relationships that are not mutually respectful prevents INFJs from feeling hurt and disappointed when people do not treat them fairly, or do not show them compassion or care. Although the door slam sounds severe, INFJs are forgivers and may allow the person they’ve slammed the door on a place in their lives in the future, but that is only if they feel behaviors have changed and they aren’t going to fall back into the same unhealthy dynamics. Sometimes the door slam only happens in the mind and heart of the INFJ, and they continue to remain in contact with the “door slam” person. However, a significant change in the relationship has occurred by this point, and the INFJ will no longer be investing the same time, attention, and energy into a relationship, and the contact will be limited to functional communication. Either way, it is rare for an INFJ to entirely trust someone that they once slammed the door on again, therefore, the relationship will likely never be the same as what it once was. Recommended: The 10 Types of Empaths – Which One Are You? Those who are in a dynamic with an INFJ can work out how serious the door slam is by observing whether the slam was done in haste and fury, or calmly and rationally. If it’s the latter, the likelihood is that the decision has been firmly made and there is little chance of getting back in. INFJs are far more likely to slam a door quickly, and for good, when someone has hurt someone they love and care about. Sadly, they may allow themselves to be abused over and over, but they will not tolerate abuse of any kind when it is directed at anyone else.